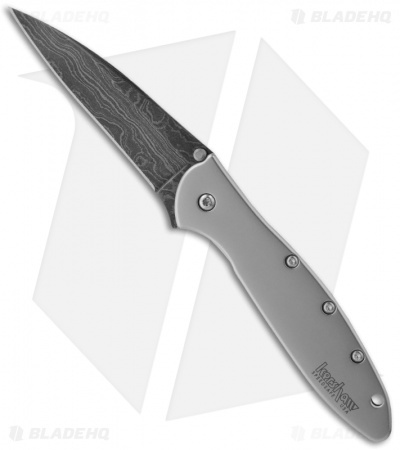 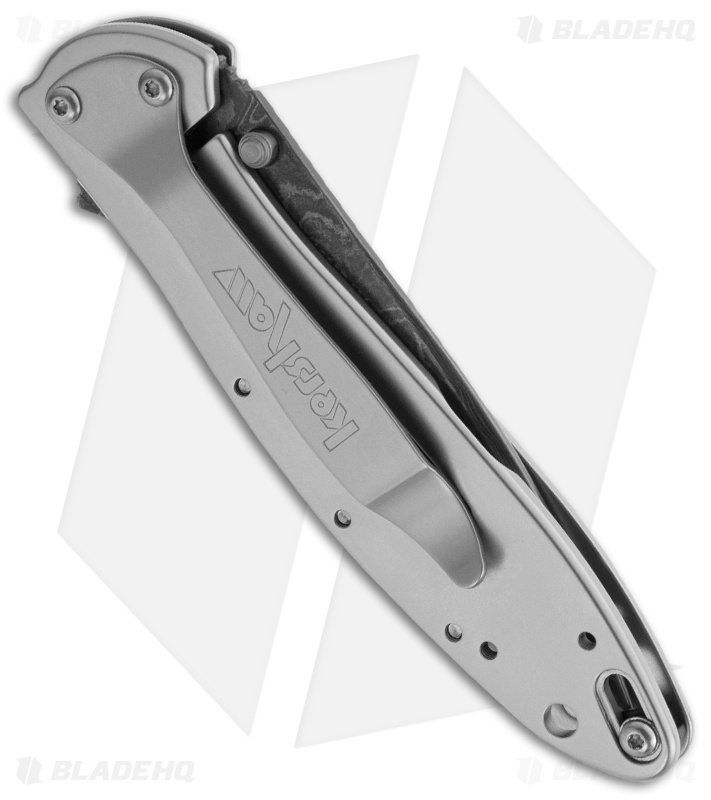 The Kershaw Ken Onion Leek is one of the sleekest, most popular assisted opening knives ever made. This model features a beautiful Damascus steel blade and bead blast finished 410 stainless steel framelock handle. 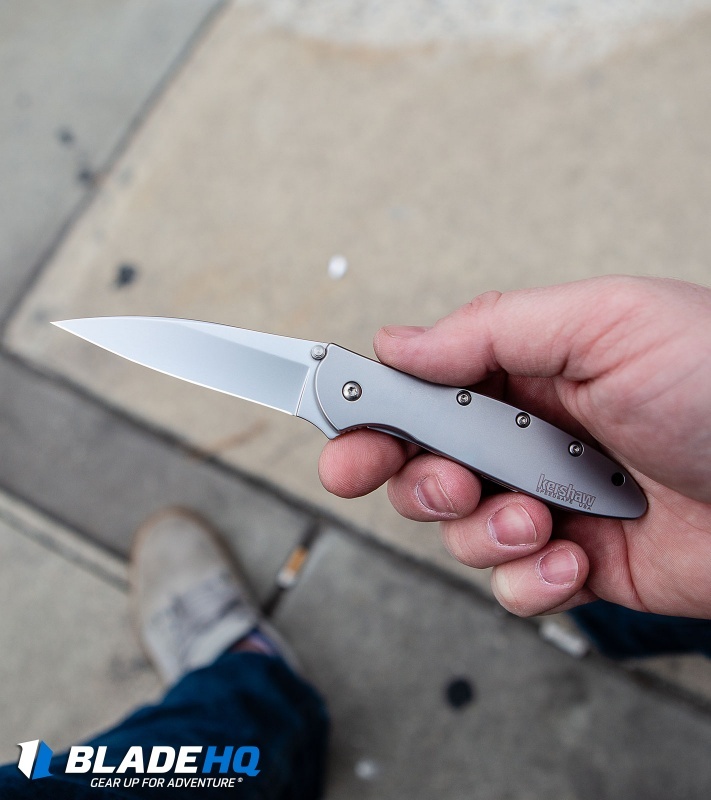 The Leek features Kershaw's patented SpeedSafe technology. 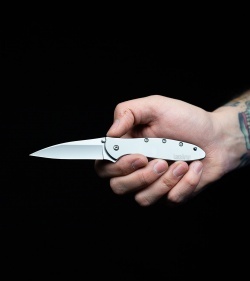 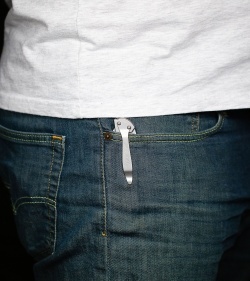 Give the ambidextrous thumb-stud a push and the knife takes over opening the blade the rest of the way. 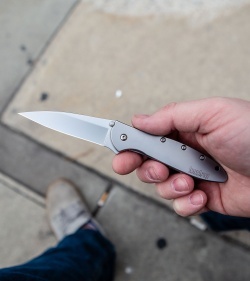 This is an ideal one-handed opener. 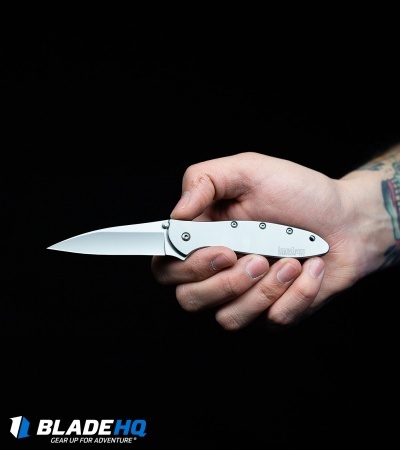 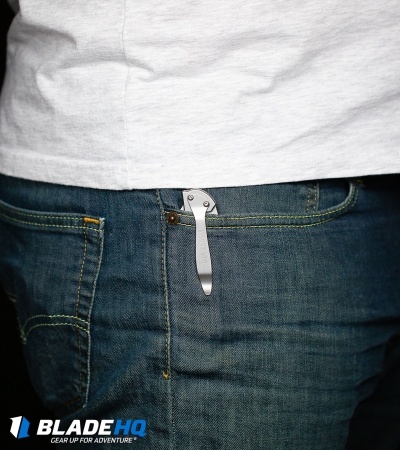 Other features include frame lock design, reversible stainless pocket clip, and a tip safety lock so the blade won't fire by accident.